Effective November 24, 2014, JLRNA will implement the following New Export and Broker Policy, superseding the previous policy (operations bulletins JOGI14-23, OGI14-23). The brokering and exporting of Jaguar and Land Rover vehicles are issues that Jaguar Land Rover North America, LLC (“JLRNA”) takes seriously. 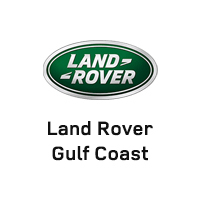 As Jaguar and Land Rover retailers, you have made a major investment in your franchise by investing in facilities, equipment, inventory, and people. Individuals who export or broker Jaguar and Land Rover vehicles do not have a vested interest in the brands while improperly diverting sales from authorized retailers, and more importantly, our U.S. customer. The exporting of vehicles outside the U.S. negatively impacts U.S. retailers by, among other things, removing vehicles from the parts and service business, resulting in lost revenue in anticipated part sales and warranty work. Furthermore, the movement of vehicles from the U.S. to foreign markets may also impact the future product allocation and vehicle pricing for U.S. retailers. Retailers who sell vehicles to exporters — by which we mean anyone who purchases a vehicle that is subsequently exported from the U.S. — undermine company systems established to ensure, among other things, that the end user is on record for warranty and safety recall purposes and that customer satisfaction information and demographic data are collected.